Thyro-Balance™ is a natural, liquid nutrient complex developed especially to support the thyroid gland. It provides the specific nutrients the thyroid gland needs to function optimally, in a special bio-available format that facilitates their absorption and assimilation. Free of any hormones, and glandular and animal substances, this complete and balanced nutrient formula enhances and does not suppress natural thyroid activity. Thyro-Balance™ is formulated with such precision that it only takes a few drops a day to fully support healthy thyroid function. 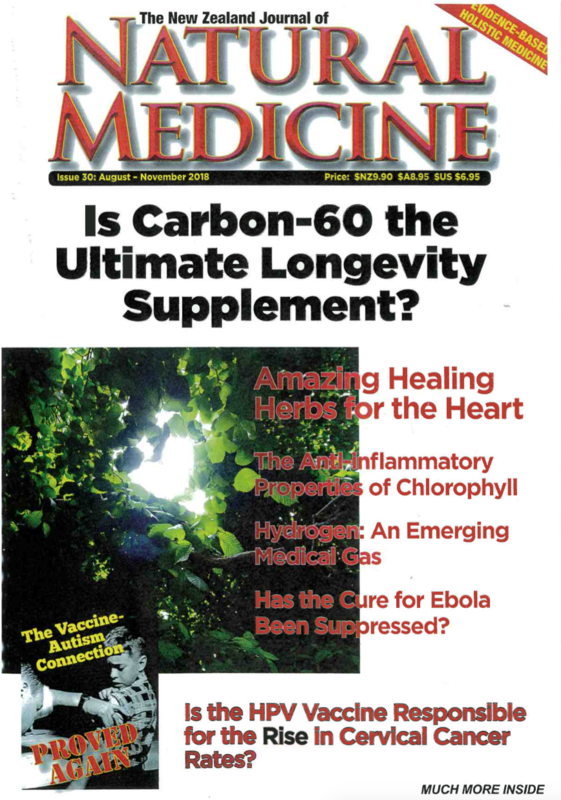 This unique dietary supplement has been used successfully for many years to promote healthy thyroid function, and can be also be used for targeted nutritional support by people who take thyroid hormone. Your thyroid gland, near the base of your throat, is the main gland responsible for regulating metabolic rate, energy and heat production in your body. The hormones it produces also play important roles in mental function, mood, weight accumulation, bowel function, bone density, skin and hair quality, and other physiological processes. With proper nourishment, your thyroid can more readily manufacture and secrete these thyroid hormones as needed by the body to maintain health. 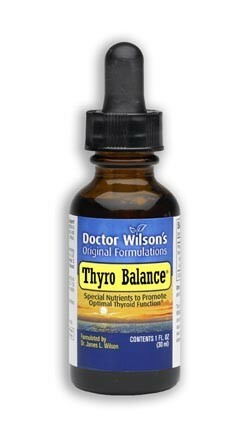 Thyro-Balance™ is expertly formulated by Dr. Wilson to provide the optimal forms, proportions and amounts of the specific nutrients needed daily by your thyroid gland that are often missing or deficient in the average diet. These nutrients are specially processed to make them easy for the thyroid to absorb and utilise, and are synergistically blended to produce optimal thyroid nutrition. This nutrient formula (containing no hormones, glandular or animal ingredients) is designed to nutritionally support and balance a healthy thyroid function without suppressing natural thyroid activity. Adequate nutrition promotes optimal production of the main thyroid hormone thyroxine (T4) and its conversion by the liver into its active, usable form, triodothyronine (T3), and of calcitonin, a thyroid hormone that helps maintain bone density by inhibiting bone resorption. The thyroid is a delicate gland that may require extra nutritional support to function optimally at times. 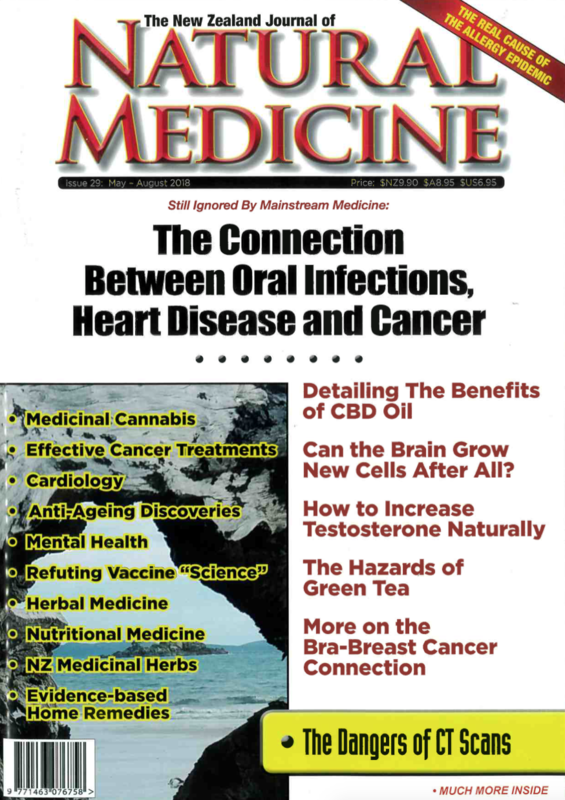 Please view the article on Hypothyroidism – The Unsuspected Illness. Unfortunately, the average diet often fails to provide even minimal amounts of some of the specific nutrients it needs every day. Poor food (especially lots of sweet things), stress, lack of sleep, environmental pollutants like fluoride and chlorine, birth control pills, , pregnancy, peri-menopause and menopause (hormone replacement therapy), as well as other factors can increase the thyroid's nutritional requirements. Two to six months of consistently taking Thyro-Balance™ daily as directed should compensate for any deficiencies of these nutrients the thyroid gland may have experienced. However, many people choose to continue taking Thyro-Balance™ indefinitely to maintain optimal support for healthy thyroid function. The bio-available nutrients it provides continue to be absorbed and utilised, not only by your thyroid, but by every organ and tissue in your body. They are in a highly absorbable, low dose form to allow long term use, if desired. The thyroid and adrenal glands affect each other. Adrenal stress can increase the need for thyroid support and a large percentage of people needing thyroid support also experience adrenal fatigue. In these cases it is best to support both glands for optimal results. Check out the exceptional Future Formulations products for proper adrenal function that were also designed by Dr. Wilson: Adrenal Rebuilder™, Super Adrenal Stress Formula™, Adrenal C Formula™ and Herbal Adrenal Support Formula™. Ingredients – Thyro-Balance™ contains a special liquid blend of: calcium, chromium, iodine, magnesium, manganese, selenium, zinc, vitamin A, beta-carotene, vitamin B 1, vitamin B 2, vitamin B 3, vitamin B 5, vitamin B 6, vitamin B 12, folic acid, biotin, vitamin C, bioflavonoids, vitamin D, vitamin E complex, boron & choline, in a base of L-tyrosine, & liquified seaweed with citrus seed extract. Directions for use – Take between 2-4 drops of Thyro-Balance™, once or twice daily in a non-citrus juice or water, preferably on an empty stomach. After 2 months, decrease to 2 drops once a day. If ongoing extra support is desired, continue with 3 drops, twice a day as long as needed. For best results take consistently each and every day. Quality and purity – Thyro-Balance™ is a natural dietary supplement composed of nutrients. It contains NO animal products, milk, egg, sugar, salt, wheat, gluten, yeast, corn, soy, or artificial coloring, flavoring or preservatives. "I have now got a lot more motivation to exercise. My appetite has increased yet I am slowly losing weight, something I have never been able to achieve for as long as I can remember. I have read the book and have given it to my brother who is totally burned out, I have encouraged him to see you"